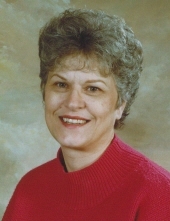 Carole S. Bandy, age 75, of Leasburg, MO, passed away suddenly on Saturday, January 19, 2019 at Phelps County Regional Medical Center in Rolla, MO. Carole Sue was born on December 12, 1943 in Bourbon, Missouri, to the late Walter Howard Sr. and Viola Elizabeth (Hamlin) Richters. She grew up and attended school in Bourbon and was in the graduating class of 1962. Carole married her high school sweetheart, Jim Bandy, on July 27, 1984 in Blytheville, Arkansas. She was a member of Cross Roads Baptist Church in Leasburg since 1963. Carole was very involved with church activities, including vacation Bible school and Sunday school. She was also a member of the Eastern Star Organization. Carole loved spending time with her grandchildren, traveling around the country, gardening, flowers & hummingbirds, and quilting. She will be lovingly remembered and missed by her family and friends. Carole is survived by her husband, James W. Bandy of Leasburg; her children, Elizabeth Faye Everett and husband, Scott, of Henderson, TN, Shelley Rae Jannings and husband, Mike, of Bourbon, MO, Lisa Kaye Crawford of San Antonio, TX, Paul Louis Sappington, Jr. “Sonny” and wife, Missy, of Bourbon, MO, Sheila Pelland and husband, Dave, of Greenbush, MI, and Carmen Gaye Tweedy and companion, Chris G’Selle, of Grubville, MO; two sisters, Edith Burnett of Bourbon, MO, and Ruth Ann Branson of Leasburg, MO; one brother, Walter Richters, Jr. of Arizona; eleven grandchildren, 6 great grandchildren, numerous nieces & nephews, other relatives and friends. She was preceded in death by her parents, Walter Howard and Viola Elizabeth (Hamlin) Richters; and an infant brother. Funeral Services will be conducted at 12:00 Noon, Saturday, January 26, 2019 at Cross Roads Baptist Church in Leasburg, MO, with Jim Huitt officiating. Burial will follow in Cross Roads Cemetery. Visitation will be held Saturday, January 26, 2019 from 10:00 AM to 12:00 Noon at Cross Roads Baptist Church. In lieu of flowers, donations may be made to Cross Roads Baptist Church in Leasburg, MO. To send flowers or a remembrance gift to the family of Carole S. Bandy, please visit our Tribute Store. "Email Address" would like to share the life celebration of Carole S. Bandy. Click on the "link" to go to share a favorite memory or leave a condolence message for the family.